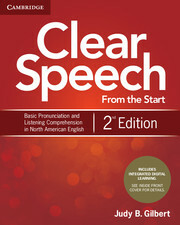 The Clear Speech From the Start, Second Edition, Student's Book provides easy-to-follow presentations, helpful rules, and extensive practice in pronunciation. This revised edition offers new and updated content, additional visual support, and is now in full color. 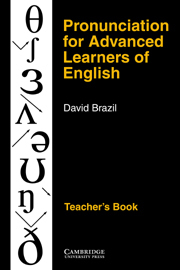 The full Student's Book audio program is available for download at www.cambridge.org/clearspeech. Each student's book contains a single-use code for access to the course audio files in the CLMS.